Instead of rising and falling with the season, BudgetPay means you will know exactly how much your electric bill is going to be each month. Safety is our top priority at Grant PUD. We want to remind everyone of these safety tips as you are working, playing and spending time outdoors this spring. Grant PUD: Serving Grant County since 1938. There are a variety of vegetation management programs and techniques designed to keep trees and limbs from coming in contact with power lines and prevent tree-related power outages. We are a public electric utility serving more than 40,000 customers throughout Grant County. We own and operate the Priest Rapids Project on the Columbia River in central Washington. Customers rely on us to power their way of life. We serve customers from Electric City to Royal City and everywhere else along this stretch of the Columbia. The affordable and reliable services we offer continues to be a main driver of Grant County’s rapidly expanding economy. Lots of things happen here at Grant PUD. These stories will help you learn more about some of the key items. We practice stewardship, conservation and sustainability every day. 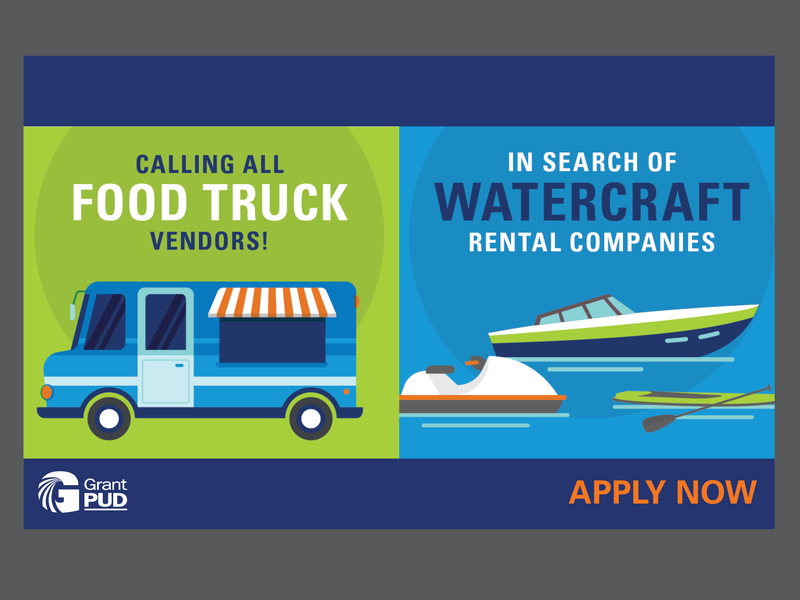 Grant PUD is looking for proposals from qualified food truck companies and/or watercraft rental companies to operate at Crescent Bar this summer. Crescent Bar is Grant PUD's most popular recreation site attracting thousands of visitors each year. If we know where we come from, we’re more likely to know where we’re going. 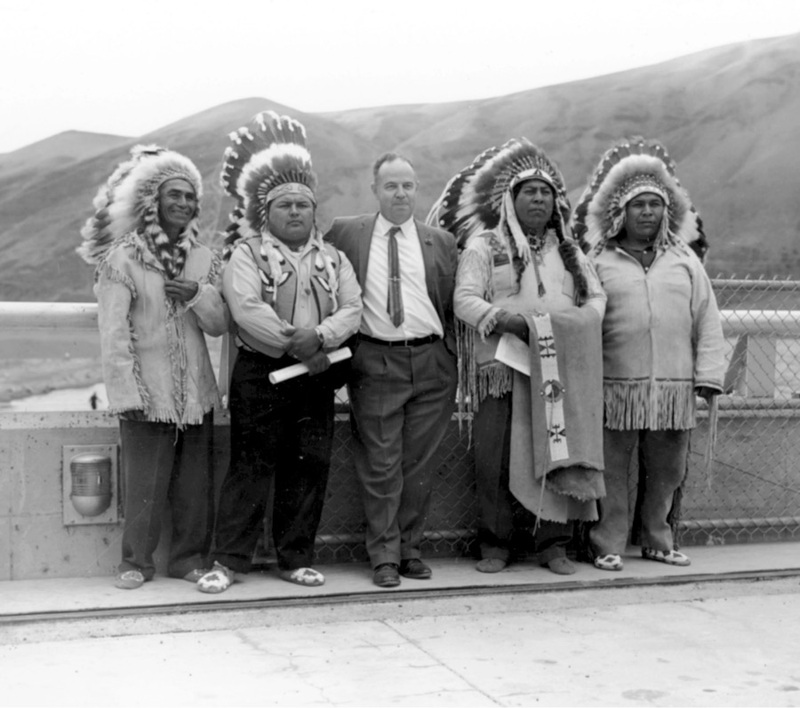 That’s why Grant PUD has worked with the Wanapum band for more than 60 years to protect, preserve, and perpetuate the natural and cultural resources of the Priest Rapids Project. Through decades of collaboration and communication we’ve developed a mutual understanding of the past—and a shared commitment to preserving our region’s cultural legacy for future generations.